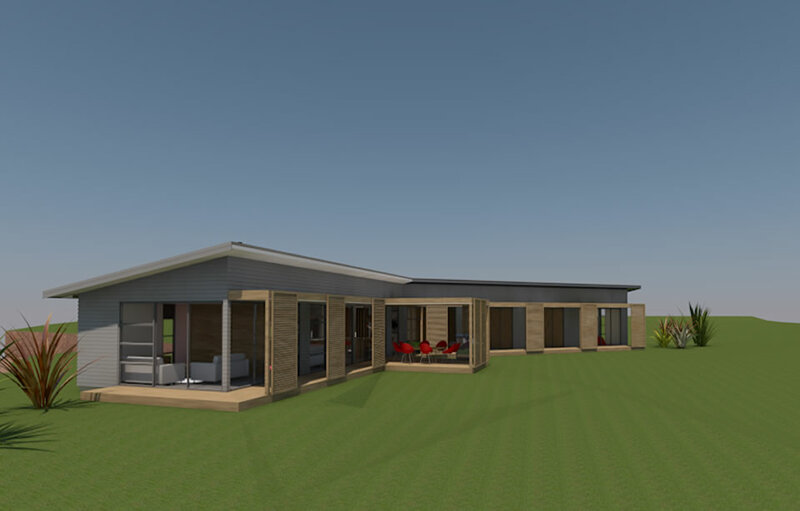 This house design is for a young family who have a large rural section with fantastic sea views to the north. 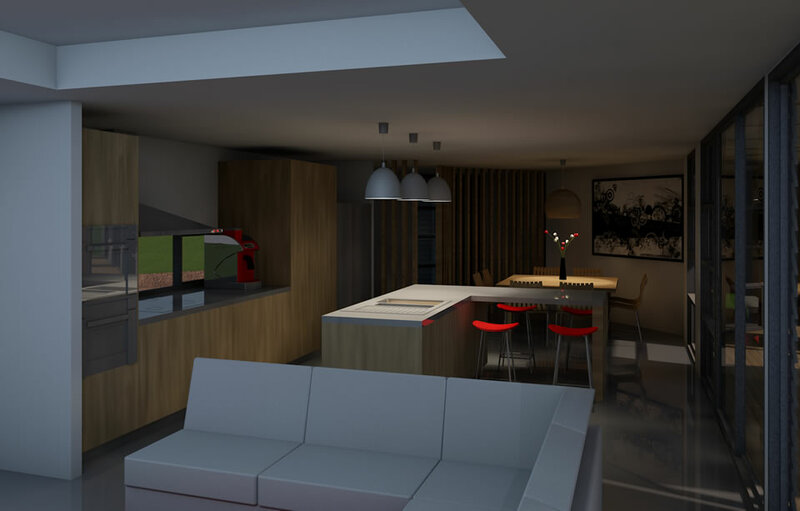 The clients on this project had a clear idea of how they wanted the house to be laid out and wanted orientation of living and bedroom spaces to be to the north and view. The herringbone shape was one of the things they mentioned early on in the briefing process. While the shape called for a long corridor along the bedroom wing and a corridor link to the garage, we have used these spaces to include a study alcove and work space. To add interest to an otherwise simple design internal doors soar full height, with some as wide as the corridor allowing this space to be integrated into the rest of the house. Recessed ceiling features in the truss structure above living areas provides relief to flat ceilings. The outside corridor space is important to the solar performance of this building. The client wanted a large expanse of glazing to the north faces for lots of sun. 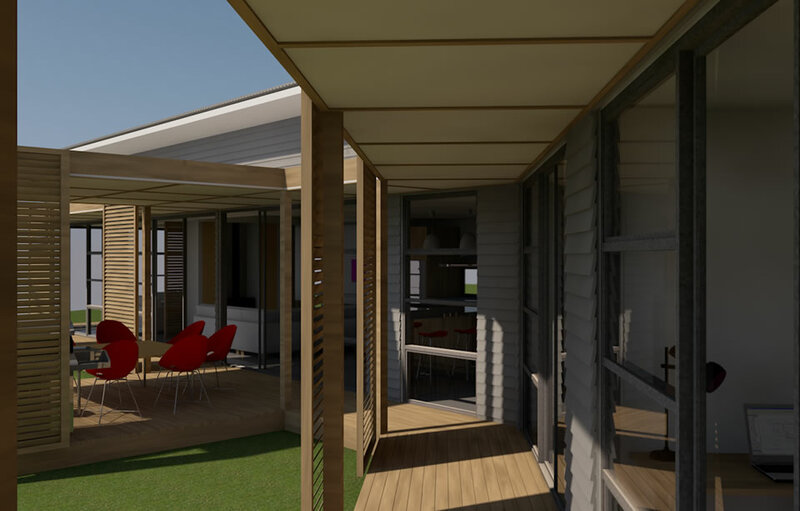 To avoid over-heating in summer, a pergola structure with sliding screens runs the full length of the north faces. This creates an indoor / outdoor transition space which can be altered and modified to suit the requirements of the interior spaces.